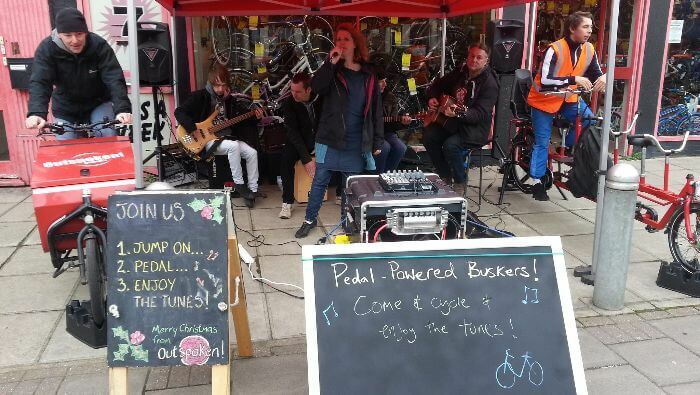 Bring your event to life with some Pedal-Powered music! We provide the bikes, speakers and music and you provide the power! We bring 2-6 bikes in a variety of sizes and a PA sound system. Our staff setup all equipment, encourage lots of participation and are on hand to help power the bikes if needed. 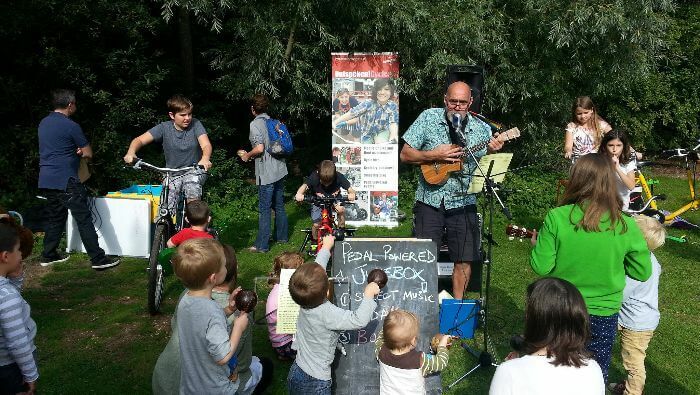 The kit can be powered by 2-3 children and is a great addition to family events and festivals. 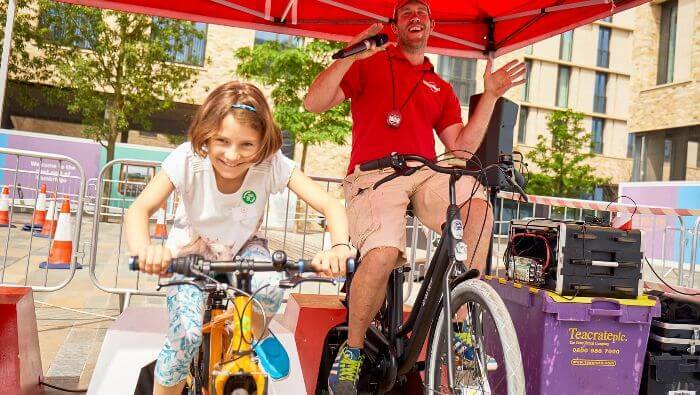 It also makes a great accompaniment to our other event activities such as our Smoothie Bikes, Pedal Powered Scalextrics or Try Out Shows. Event duration: as long as you need the music! Power requirements: None – all pedal powered! Which Event Service(s) are you interested in?